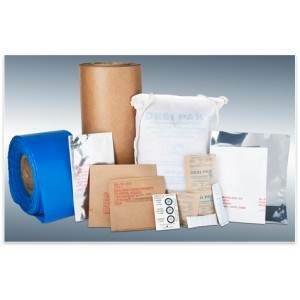 We offer a number of packaging products that meet military specifications. We supply barrier material and packaging. Our MIL-SPEC lines include corrosion protection and desiccant bags, even humidity indicators. We also offer reusable fast packs to government specifications. We offer full lines of shipping boxes, labels, protective packaging, and static control products.